Aunt Carly and I decided it was time for Brooklyn to have her first pedicure. 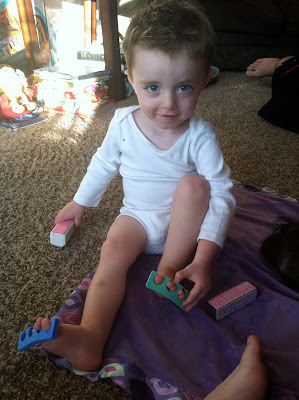 We painted her toes on Sunday and they looked so cute!! It took both of us to paint her wiggly little piggies. Carson also wanted his toes done, so we clipped them and it make him feel special.